Ruth M. Milner graduated with a Bachelor of Science degree from Northeastern University in 1974. After working in the education field for three years, Ms. Milner attended Temple University. In 1979 she received her Master of Arts degree in Audiology. Ms. Milner is Board Certified in Audiology. 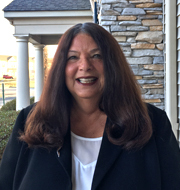 She is a fellow of the American Academy of Audiology, a founding member of the Pennsylvania Academy of Audiology and she holds the Certificate of Clinical Competence in Audiology from the American Speech Language and Hearing Association. Ms. Milner has served on several professional committees for the above organizations. Ms. Milner has published several research articles in both national and international journals and she has lectured on a variety of audiology topics in the United States, Israel and China. Her areas of expertise are diagnostic audiology and hearing aid fittings. Ruth Milner resides in Montgomery County with her husband. She has two grown children.